Trust your beard to the best beard grooming kit made in Germany for men who like to enjoy neat appearance of their facial hair. 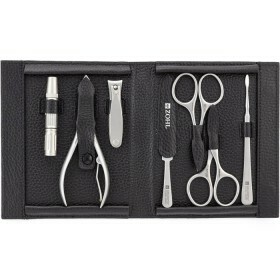 It contains 4 most popular beard maintenance tools crafted to last and create well presented whiskers. 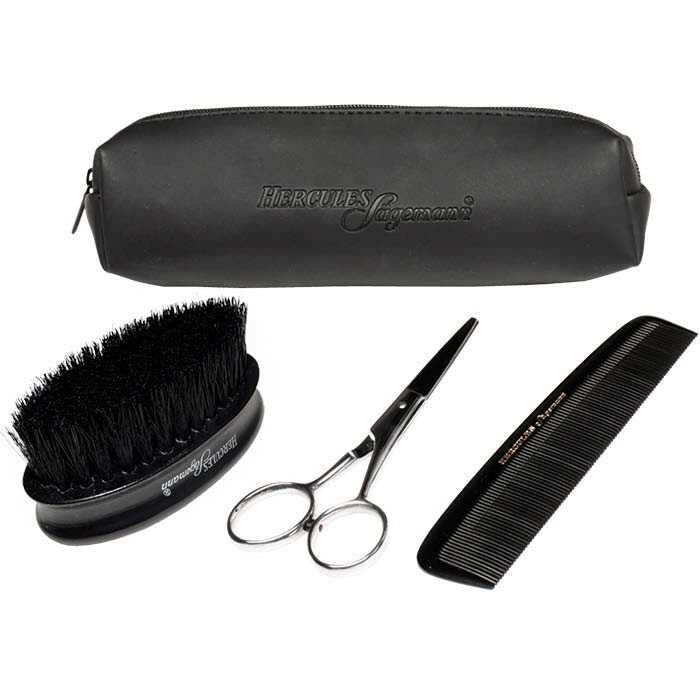 The kit includes microserrated beard scissors (4.5”), fine toothed beard comb (5”), oval boar bristles beard brush in black wood core (3.5”) – all handsomely packed in a classy black zippered pouch. 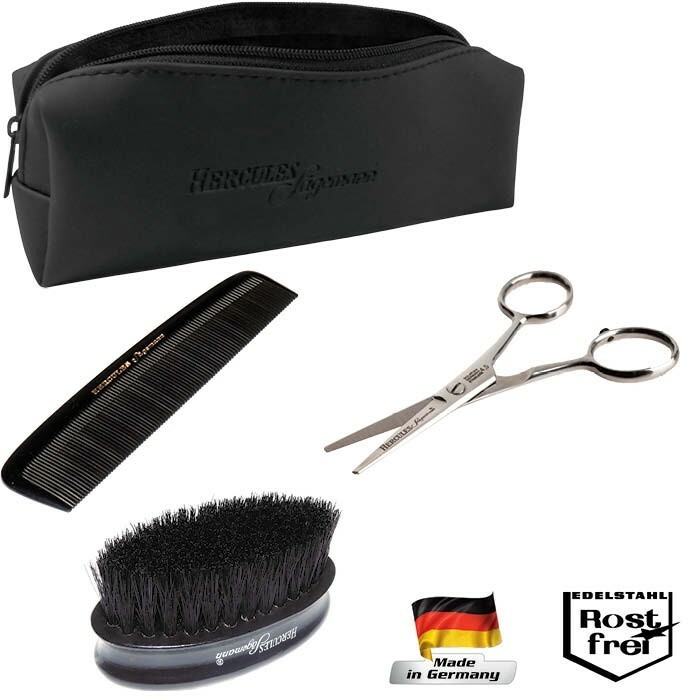 Made by Hercules Sagemann – a heritage German brand producing top quality hair tools since 1856. 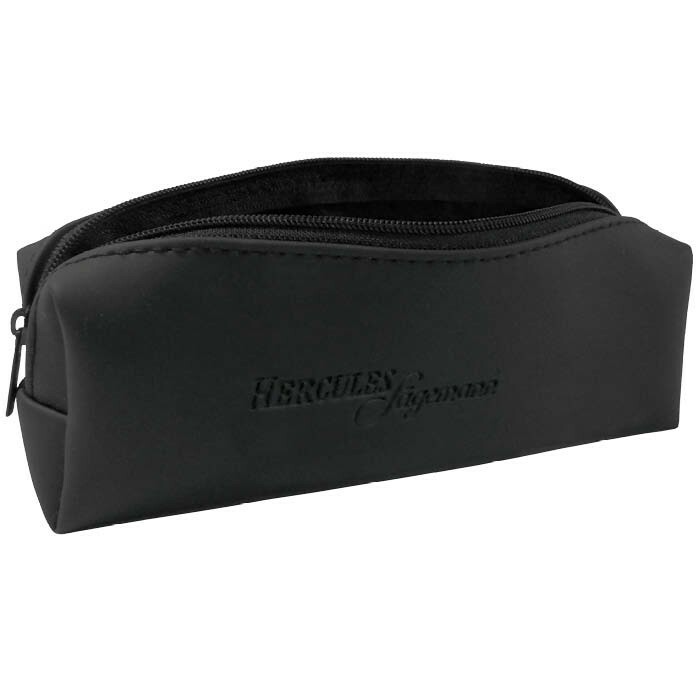 Hercules Sagemann beard grooming kit is crafted in Germany and contains the best beard and moustache grooming tools to keep your whiskers neat and straight. 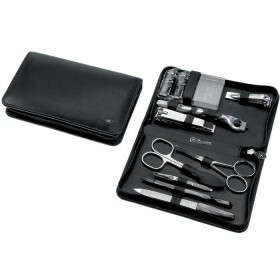 Beautifully presented in a moist-proof black pouch with a zipper for convenient transport, this kit is essential for men who like the top German quality in their grooming kit. 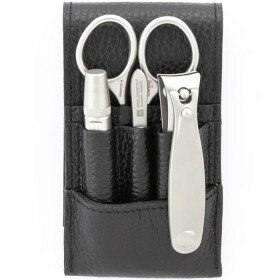 Stainless Steel Beard Scissors with microserrated blades. 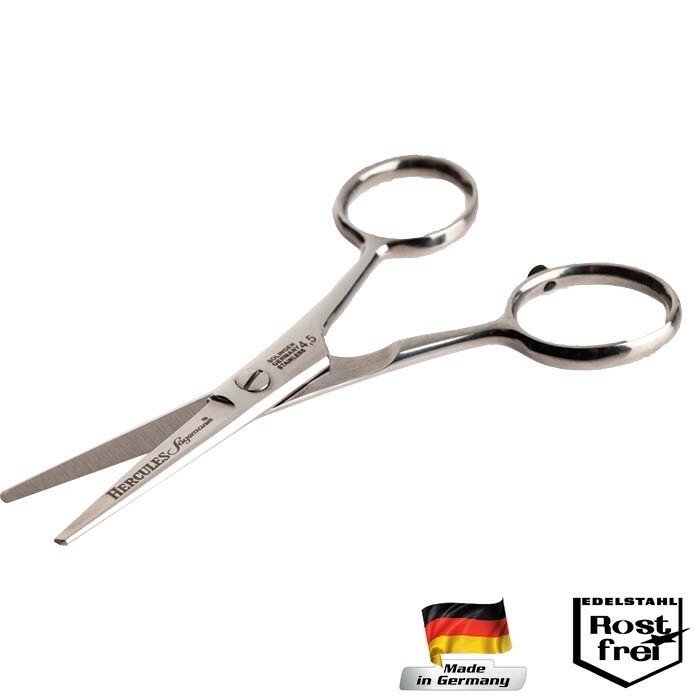 This feature helps hold hairs firm in their position so they don't escape the blades during trimming, resulting in a clean and precise cut. 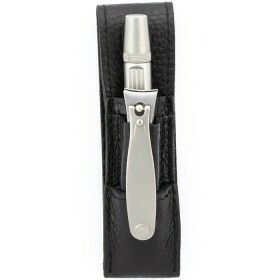 The tips are rounded for safety purposes and great for trimming beard, moustache and goatee hairs. Genuine Solingen German craftsmanship is a guarantee the blades are razor sharp and will allow easy cutting and lifetime durability. Length 4.5” / 11.5 cm. Beard Brush with natural boar bristles set in a luxury black wood core. Dense bristles of a wild boar are the best way to spread naturally-occurring oils, keeping the beard looking moisturised and healthy. Seamless Beard Comb with all fine teeth (5” / 12.5 cm). 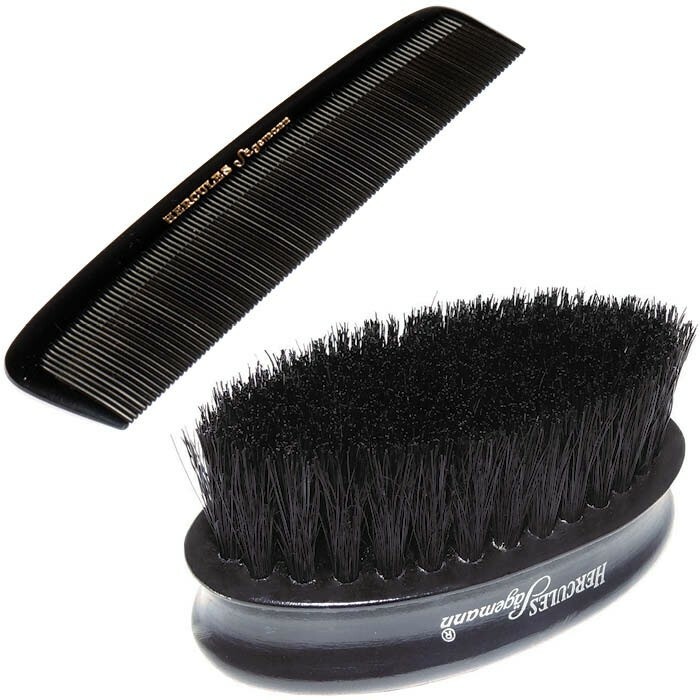 Hand made in Germany from vulcanised hard rubber with totally seamless teeth, this the best beard comb to gently remove the knots without breaking the whiskers or scratching the skin. It is free of tiny burrs seen with plastic combs and is therefore, excellent at straightening the beard without unpleasant pulling. And the good thing – this comb is high duty and almost indestructible, meaning it will last decades and will be a reliable companion in your beard grooming kit. Kit measures: 18 x 5 x 6.5cm.